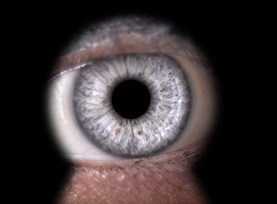 Voyeurism charges can have very serious and life changing consequences. It is crucial to know the nature of voyeurism law and understand exactly what you are being accused. Under Section 67 Sexual Offences Act 2003, a person commits an offence if for the purpose of obtaining sexual gratification, he or she observes another person doing a private act, and he or she knows that the other person does not consent or will not consent to being observed for his or her sexual gratification. Furthermore, a person commits an offence if he or she operates equipment with the intention of enabling another person to observe for the purpose of obtaining sexual gratification, a third person doing a private act and he knows that that other person does not consent to the operation of equipment with that intention. The question is what is a private act, the definition is that it is totally private and not able to be seen by any other person, but excludes such acts taking place in public areas. Accordingly, if consent is not given to be observed by others, then consent does not exist. A person guilty of an offence under this section is liable on summary conviction, to imprisonment for a term not exceeding 6 months or a fine not exceeding the statutory maximum or both on conviction on indictment, to imprisonment for a term not exceeding 2 years. At Bloomsbury Law, we appreciate this may be a very stressful time. This is why it is important to inform you we are here to help and can guarantee we will do everything in our power to get you the best possible outcome for your case. If you or someone you know is seeking legal advice, please make sure to get in contact with one of our specialists. We will listen to your situation, answer any enquiries that you may have, and advise you accordingly once we are instructed.